The DirtFirst Racing sponsored Christy Racing/Duncan Class 25 Team finished in 4th place at the 44th Annual Score International Baja 1000. This year’s event was run on a 692 mile course starting and finishing in the oceanside city of Ensenada, Mexico. Unusually damp weather in the area created mudholes and water crossings that are rarely seen on a Baja race course. The traditional start area in the wash heading out of town needed to be excavated with heavy equipment before race day, but even so the motorcycle and quad racers rode the high sides of the wash to avoid deep water on the straightaway. With a Score truck-only race taking place in the San Felipe area a few months prior to the Baja 1000, much of the race course in that area was rougher than expected and put an extra toll on machines and bodies. With the inspired riding of Dave Scott over the Summit, and Cody Mitchell through the Laguna Salada lake bed down to Borrego, 6A kept motoring at race pace. During a rider change just past San Felipe, the pit crew noticed the swingarm skidplate was missing. Closer inspection revealed the mount bolts had been sheared off, and the call was made to replace the swingarm, remarkably only a 15 minute swap with the dedicated Duncan crew. Dave Scott pounded through miles of whoops heading north from San Felipe. “It was hard to choose lines at night through there,” commented Scott after the race. “Even with prerunning it felt like I was off the course sometimes, there were so many choices.” The course overlapped itself for roughly 10 miles through Borrego, which made the twice-traveled section of whoops extremely rough. 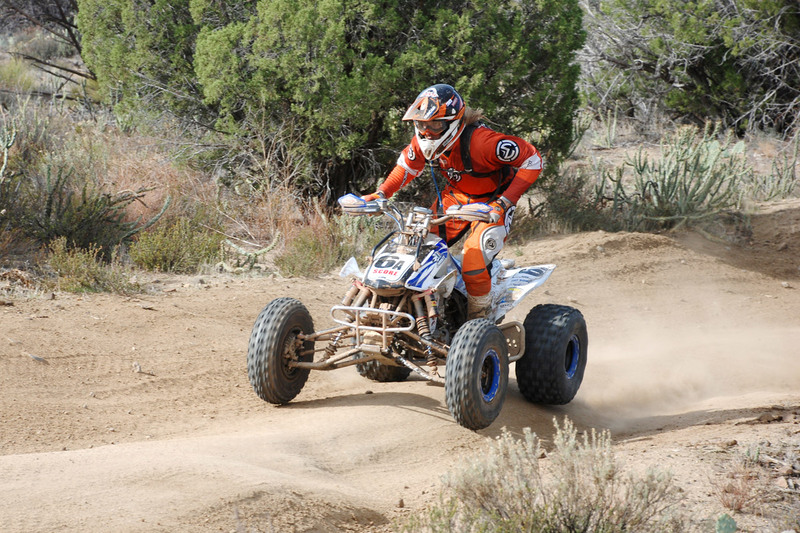 The Christy’s Team is looking forward to the 2012 Score season starting with the San Felipe 250 in March, and hoping to regain the form that netted them the 2009 Score Overall ATV Championship. 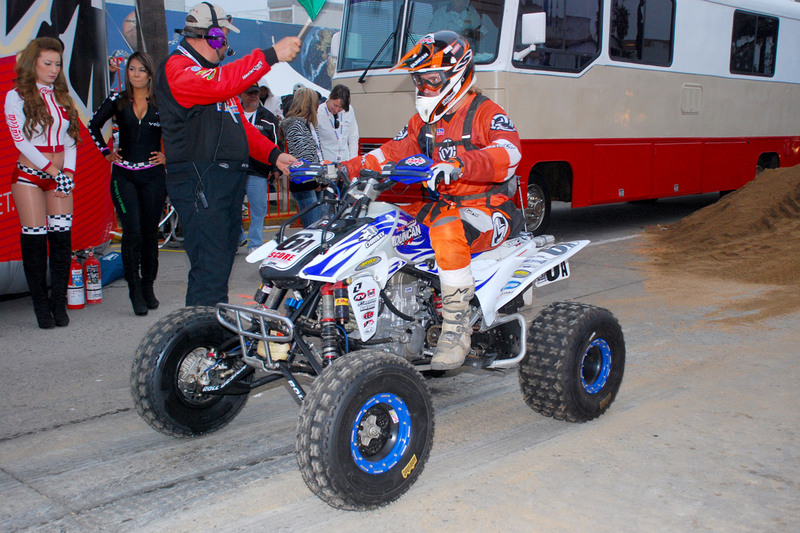 Andy Lagzdins leaves the start line in Ensenada at the 2011 Baja 1000. For more great pictures from the Baja 1000, check out MyBajaPhotos.com. For more info on the race and results check out www.Score-International.com. For more race coverage of the Baja 1000, check out the full report at www.ATVRiders.com. You should work on getting on a team for Baja. Plan on going just for the prerunning the first time to get familiar with the area and how to ride the terrain. Then start contacting teams that might want a backup rider. Just work your way into it. Good Luck!